How to reach us by public transport ? Take the metro Line 4 to "Porte d'Orléans" then take the bus 194. Get off at Châtillon at the stop "d'Estienne d'Orves / Division Leclerc", then walk up the avenue de la division Leclerc for about 200 metres, until ONERA. In both cases, the RER journey is made with a ticket to the destination "Bourg-la-Reine" and the additional bus journey with a simple metro ticket. From Orly, take the VAL to Antony, then take a train from the RER B, direction "Paris". Get off at Bourg-la-Reine. 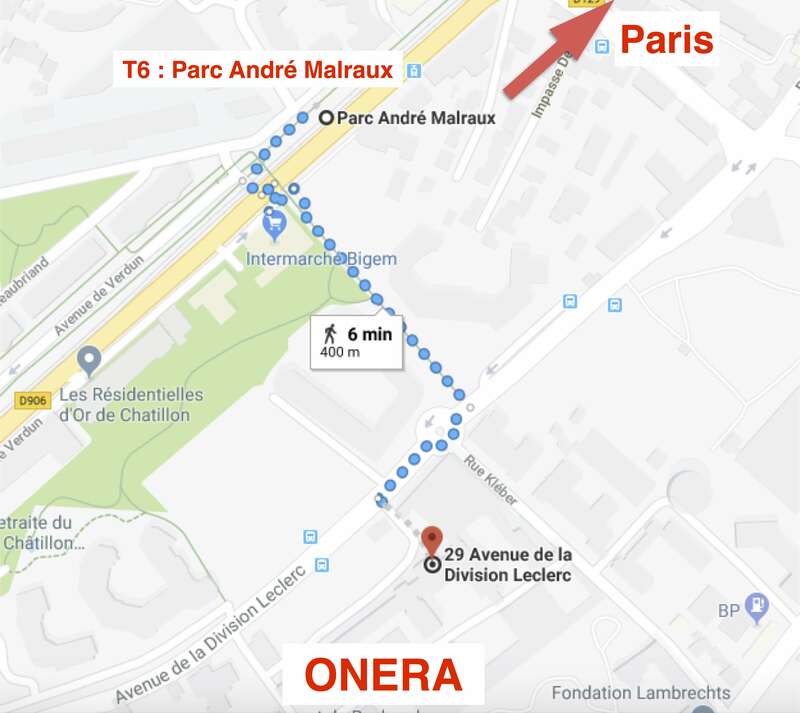 Take bus 394 direction "Issy - Val de Seine RER" until the stop "les Sablons", right in front of ONERA. From Roissy Ch. de Gaulle, take the RER B train to Paris and continue to Bourg-la-Reine, then continue on the previous route to ONERA.